One of the hottest new toys on the market is the Parrot Bebop Drone. As more collectors join the UAV hobby, they’re adding the latest drones to their collection, including the Bebop drone. 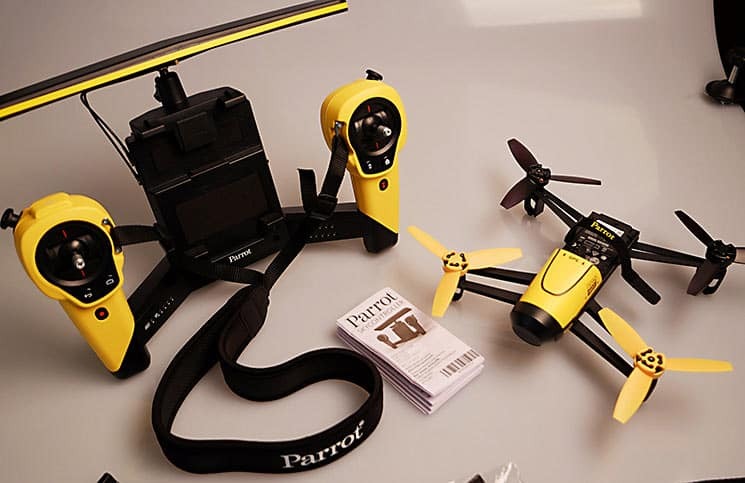 The Parrot Drone Bebop is a small and compact remote controlled quadcopter, packed with features, including a high definition camera, making it a popular choice for holiday gift giving. 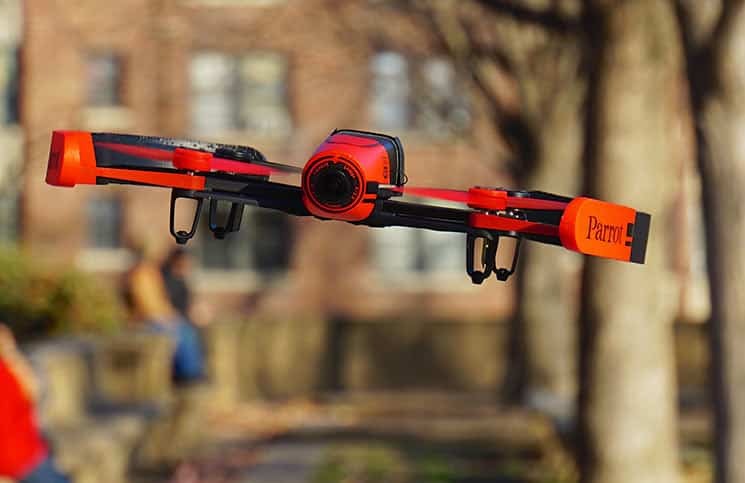 Parrot has listened to what consumers found frustrating in the Parrot AR.Drone 2.0 Elite Edition and the Parrot AR.Drone 2.0 Power Edition, and fixed many of their short comings in their latest AR Drone Bebop. With all of the cool new features, the $500 price tag is worth paying a higher price. 1 What is the Parrot Bebop Drone? What is the Parrot Bebop Drone? The Parrot Bebop Drone is the latest contender in the drone market, with a higher end model than the Elite or Power Editions. While previous editions allowed you to control the drone via smart phone, the Bebop can be controlled with the addition of a Sky Controller (additional cost), giving you a more realistic in flight experience. Of course you can still control it with your smart phone device as well. The Parrot Bebop is a light quadcopter at 410 grams. You can fly it indoors or outdoors. Just remember to remove the protective coverings meant to protect your walls and furniture, before flying it outdoors. Its compact size is a small 12 inches square by 1.5 inches tall. You can also view photos or watch video from your smart phone or your tablet. The FreeFlight app will work on your iOS, Android, and Windows Phone systems. The Bebop Drone comes with a full high definition video camera that is perfect for capturing beautiful scenic videos. It has an f2.2 fish-eye lens with a 180 degree angle and 14 megapixel sensor. You have a choice of capturing photos in .jpg or DNG raw format, or in video MP4 format. 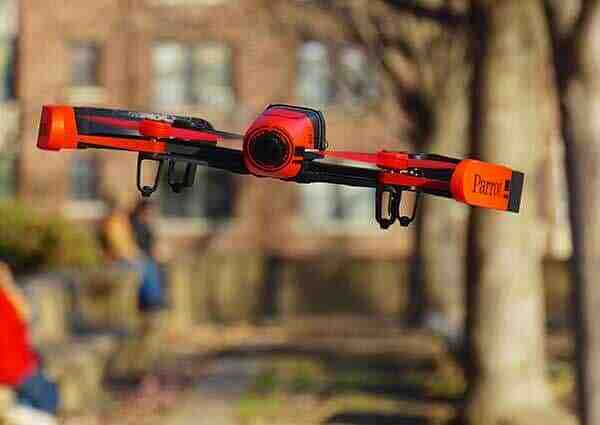 You’ll be pleased that the Parrot Drone’s camera can grab video at 1080 p full high-definition resolution. You won’t have to worry about buying separate microSD or SD cards, as the camera stores video and photos in its internal 8GB internal storage. While there wasn’t much point of having pan and zoom without a higher resolution, the new Parrot Drone Bebop allows you to pan and zoom while maintaining optimum resolution with its impressive HD camera. There are some really cool features on the Parrot Drone. With higher resolution comes the ability to stabilize your shots with the aid of three axes, so your video can appear more professional than before. Some other cameras solve this issue with the use of a gimbal, but Parrot wanted to keep this quadcopter light and affordable. 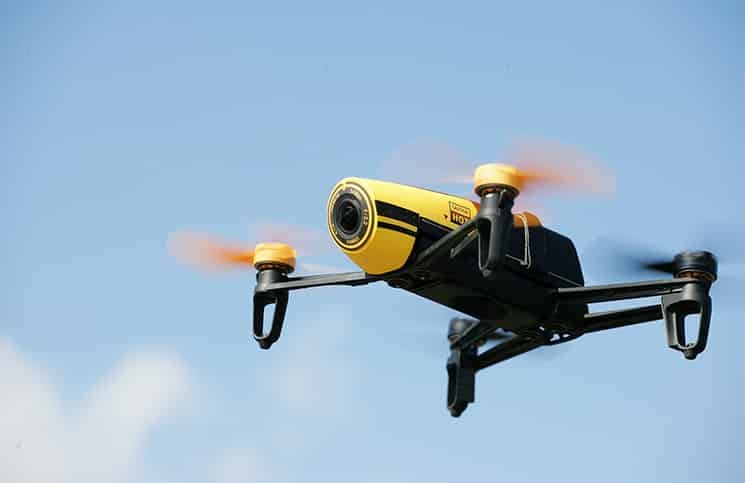 The built in GNSS Chipset allows the Bebop drone to return to its original take-off location, which is great at the end of its run, when you don’t want to go chasing after it. The chipset will also allow your drone to hover in one spot. This feature can come in really handy when you’re flying it indoors, and don’t want it to drift all over the place while hovering in one spot. It has extra sensors that enable more accurate controlling of your toy drone. Sometimes you want to preset your controls and just sit back and relax. You can watch your drone fly or view the video in progress with the aid of the GNSS chipset, allowing you to preset waypoints and create a flight plan. If you’ve been looking for a quadcopter that runs fast, the AR Drone Bebop may be what you’re been searching for. It can run up to 45 miles per hour, or 75 kilometers per hour, and can run through winds at up to 30 miles per hour or 50 kilometers per hour. You’re also not limited by your Skycontroller or you smart phone, you can even attach an external display or even an Oculus Rift VR headset for a complete immersive experience. If you own the Parrot Drone Bebop you’ll want to fly it for hours, but unfortunately its small compact design doesn’t allow for that. Its battery life is extremely limited, and will run for around eleven minutes. The good news is that the box is now shipping with two battery packs, so you can switch them out while at the park. You can also buy additional battery packs for extra running time, which is recommended, as fast flying and winds can shorten your quadcopter’s running time as well. The Parrot Bebop Drone is several steps ahead of Parrot’s original camera that had only standard 720 p. The Bebop also has a GNSS Chipset with GPS that is not available in the earlier AR.Drone 2.0 models. You can run all of the Parrot AR.Drone 2.0 products with the use of the FreeFlight app on your Android or iPhone device, as well the the Parrot Bebop, but you can also purchase an additional Sky Controller for around $400 for only the Parrot Bebop, full of toggles, buttons and controls. Both methods work the same way for piloting your drone, or operating the camera, but some people prefer a more hands-on type of experience with the Sky Controller. The Sky Controller has two sticks for piloting, easy camera controls.There’s also a button allowing take offs and landings. If anything goes wrong while in flight, your Sky Controller has a button for emergency motor cut off and a return to home button. Indicator lights will also tell you when the battery charge is running low.